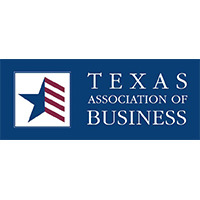 We have a long and proud nearly 100-year history at the Texas Association of Business of supporting and advancing sound policies that strengthen the economic climate of our state. It’s something I like to call a focus on jobs and paychecks. Put another way, TAB and our members firmly believe that when our businesses succeed, our communities and our Texas families succeed. TAB has played a key role in our state’s biggest legislative, regulatory and policy discussions over the years. We’ve always proceeded judiciously and with a commitment to the values that allow the Texas’ economy to flourish. Those values are underpinned by a few fundamental beliefs: Everyone deserves to be treated fairly and equally. Businesses need to be able to attract and retain the best and the brightest talent to succeed. Our communities thrive when our businesses thrive. Our opposition on the bathroom bill wasn’t popular with some of our friends and past allies in the Legislature, but our position and that of the more than 90 members of our Keep Texas Open for Business Coalition was consistent with the conservative, business values we’ve long promoted. And while we may not see eye-to-eye on every issue, we worked closely with Gov. Greg Abbott, Lt. Governor Dan Patrick and House Speaker Joe Straus to advance many of the other top priorities on these conservative Republicans’ legislative agendas this year and in past legislative sessions. The work is challenging and the conversations can be difficult, but that’s always been the case. And, we’re not backing down from our work to foster an open, welcoming and inclusive state for businesses, their employees and their families. Beyond the Keep Texas Open for Business Coalition membership and the unanimous support of our TAB Board on this issue, we proudly stood shoulder-to-shoulder with other business and economic development entities — more than 700 in all — that spoke out publicly against the discriminatory regulation of bathrooms in the state of Texas. Leading economic impact firms and economists agreed that passage of the bathroom bill would have been a huge blow to the Texas economy. The Keep Texas Open for Business Coalition carried this data-backed message that Texas’ economic health is tied to its reputation as an open, welcoming and diverse state. TAB also worked closely with a very diverse group of faith, law enforcement, education and other advocacy community leaders and organizations that united against these unnecessary bathroom bills. Texas business leaders and their employees are raising their families in our great state. They, too, want to know their children are safe from harm’s way. Law enforcement from across Texas as well as leading experts on sexual assault agreed that the bathroom bill would do nothing to protect Texans and only stood to discriminate against some of the most vulnerable Texans, our children. We’re not shy about building bridges and broad-based coalitions for the issues that matter to Texas businesses, and that’s exactly what you saw as business pushed back against the bathroom bills. We are grateful for our state leaders and the lawmakers who thoughtfully engaged with us to understand the very real human and economic risks of pursuing unnecessary legislation. While the special session may be over, our work will not end here. TAB and our coalition partners will not slow down in our efforts to defend and advance the Texas Miracle, ensuring that families flourish, job creation and investment increases and the Texas Legislature remains focused on the core priorities of state government that helps to keep Texas competitive and prosperous. Whatever the issue, TAB always will support the business community in Texas, even when doing so is hard.